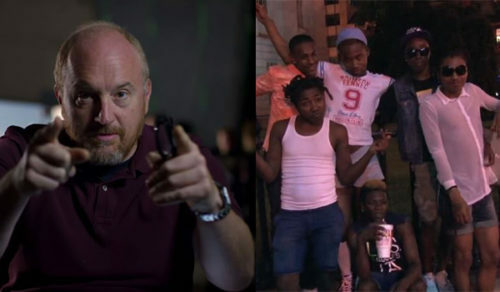 Louis CK announced via email to fans on Friday that he was offering a new film on his website, which he has used to release some of his own material as well as the work of others, such as Todd Barry and Tig Notaro, about an LGBTQ street gang in Washington, D.C. The documentary, Check It, directed by Dana Flor and Toby Oppenheimer, follows the members of the gang, formed to protect against anti-LGBTQ violence, as well as the danger of living on the streets in an environment that can be dangerous even for straight, cisgender people. In 2005, a small group of middle schoolers banded together in a group they dubbed “the Check-it.” The concept was that there’s safety in numbers, and the numbers have grown since then to include over 200 members. They are willing to fight back against harassment and abuse. “If you don’t stand up for yourself, nobody will,” says one member, in the trailer. Steve Buscemi is an executive producer on the film, and he invited his Horace and Pete co-star to a screening. Check It is available at louisck.net for $5. CK appears in a newly released trailer for the film, which you can find below. You can watch the original trailer as well, below. CHECK IT Trailer from fungible on Vimeo.